Give your home or office the comfort you need with this ergonomic drafting chair w/ Seat Tilt . The drafting chair features a contoured self skinned urethane seat and back with built in lumbar support. 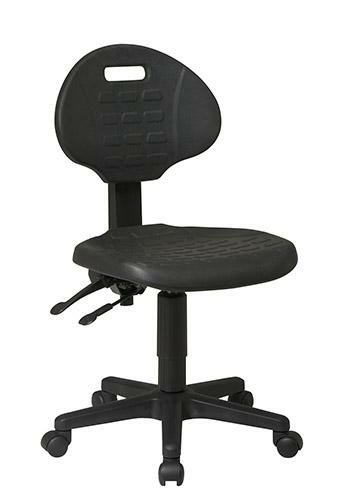 The drafting chair also features one touch seat height adjustment, back adjustment, and multi task controls. It is mobile on dual wheel casters, and supported with a durable nylon base.